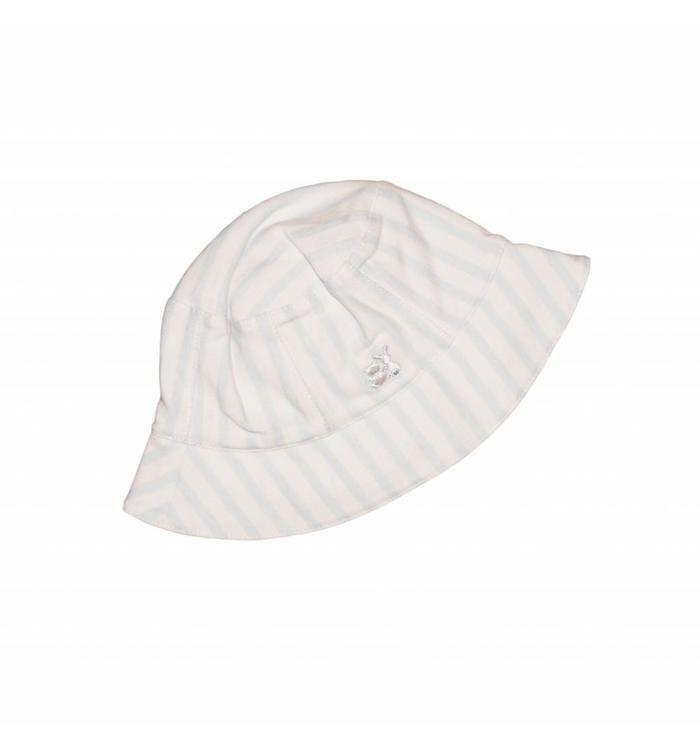 White and pink socks for baby girls. Striped white hat in blue for baby boys. 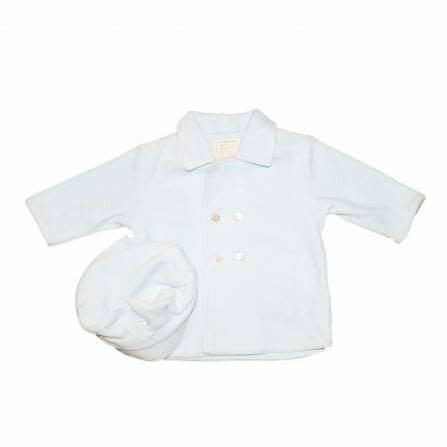 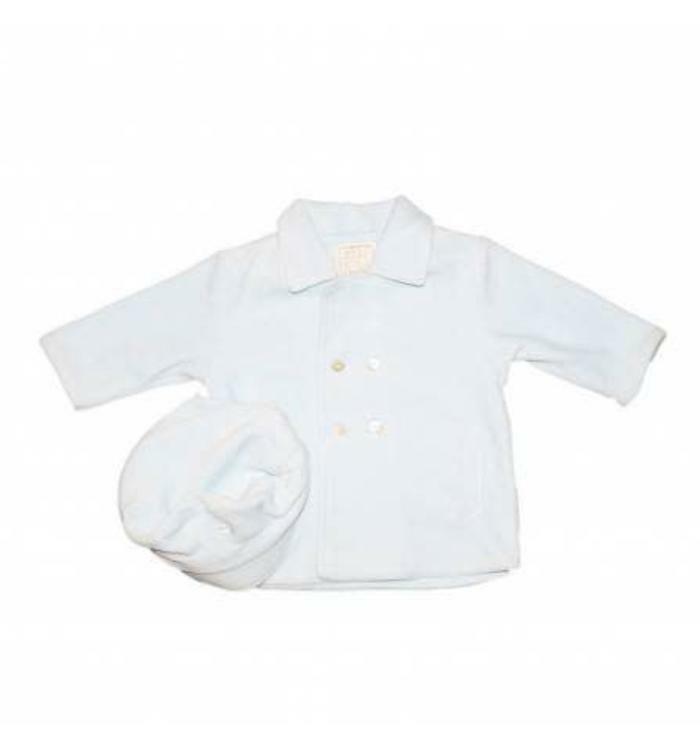 Pink quilted baby girls' coat that comes with a white cap, with hood, pearly button closure, and ruffles on the bottom. 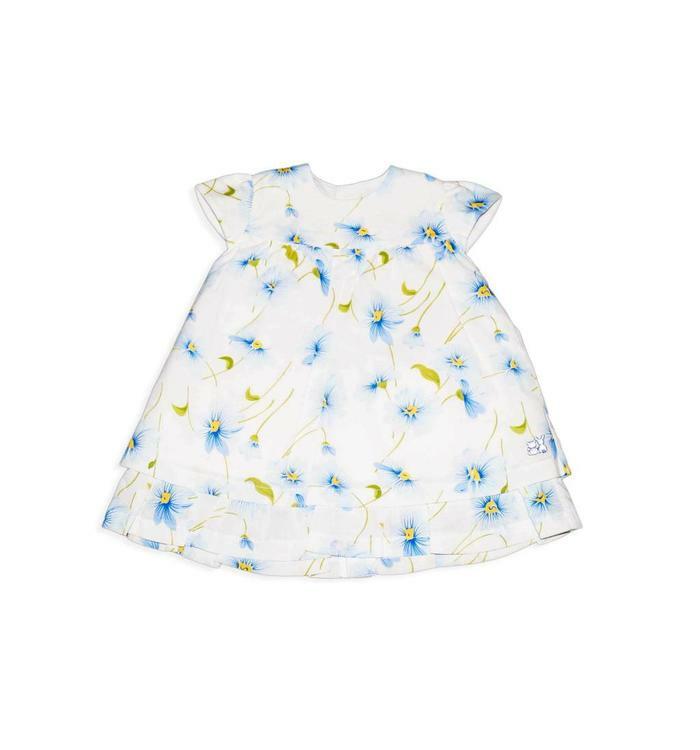 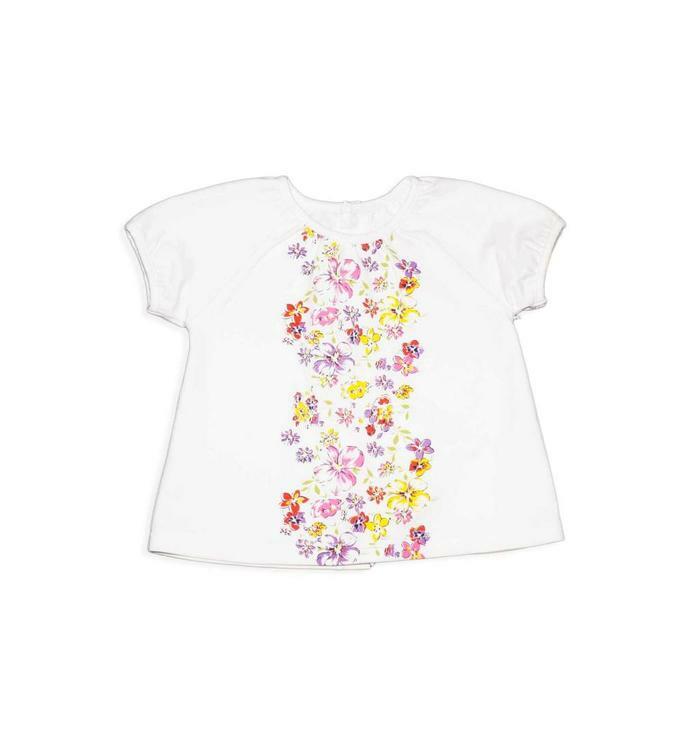 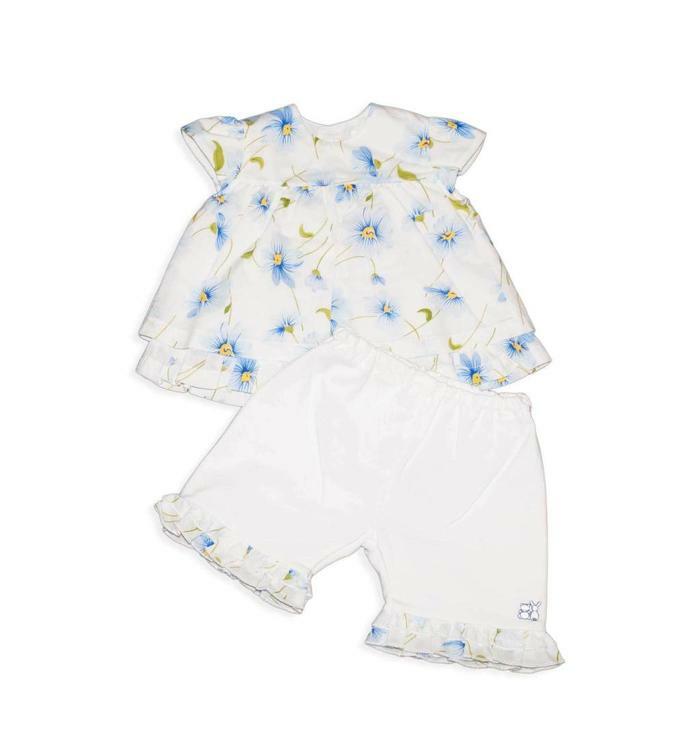 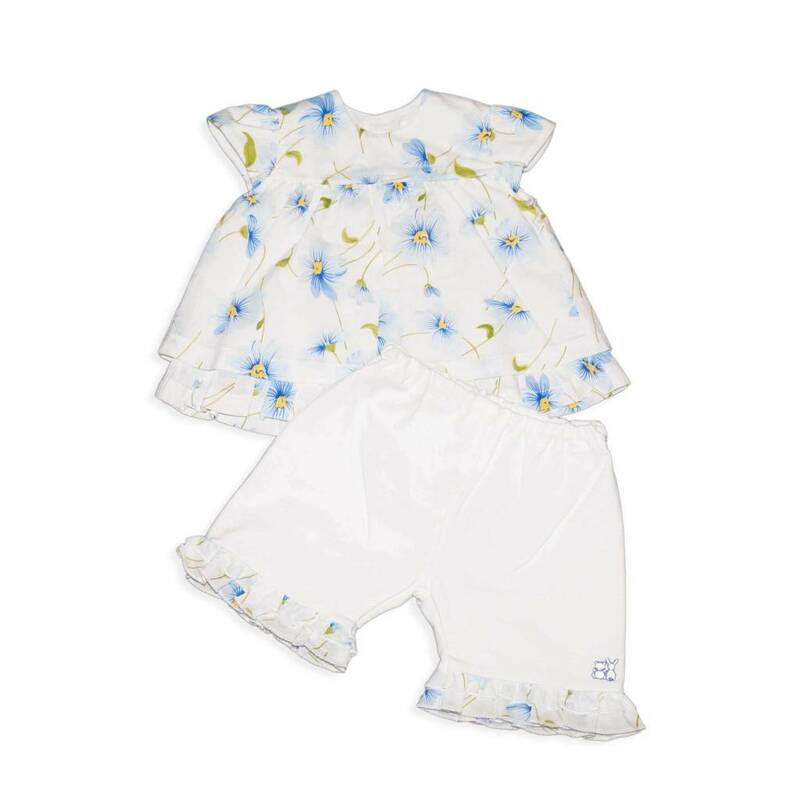 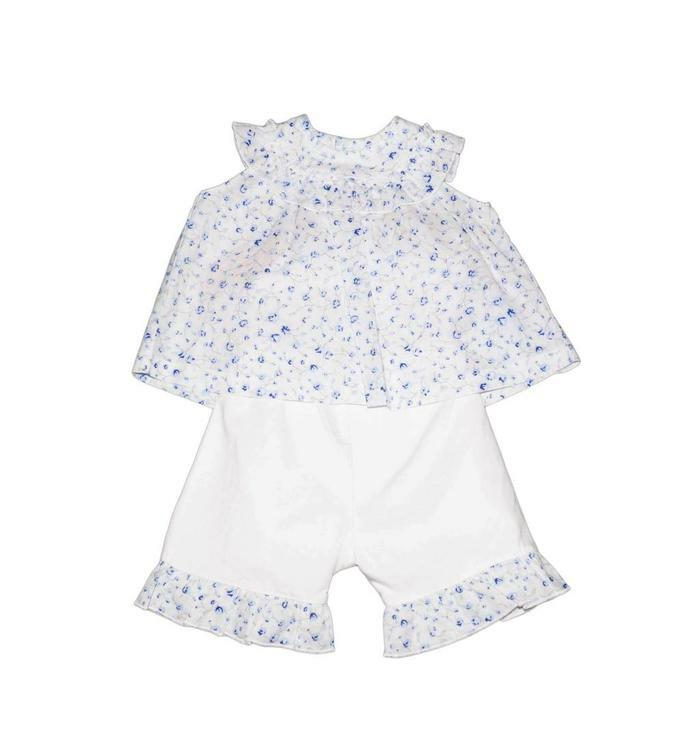 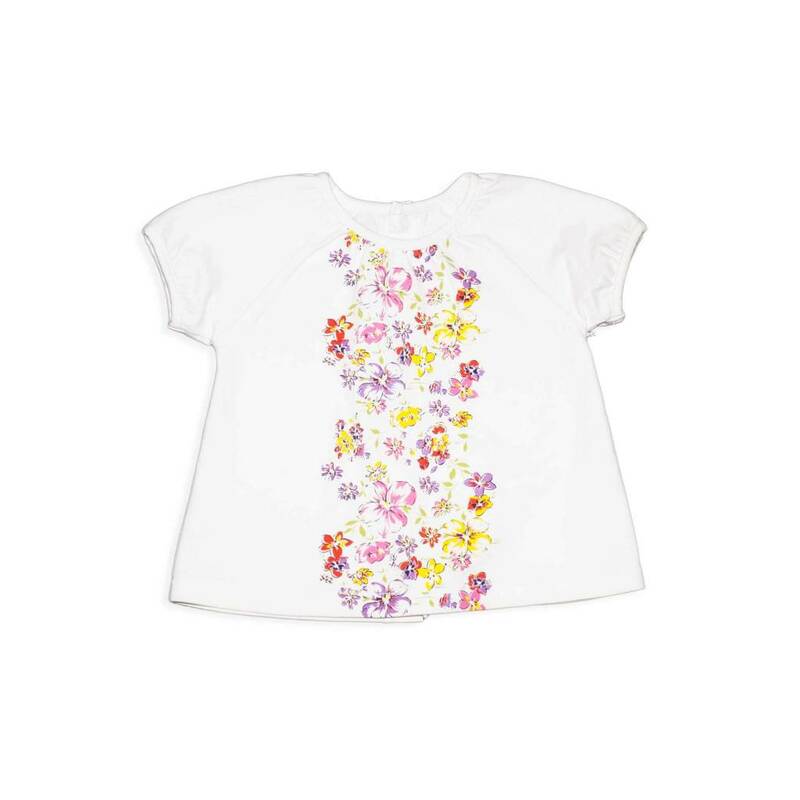 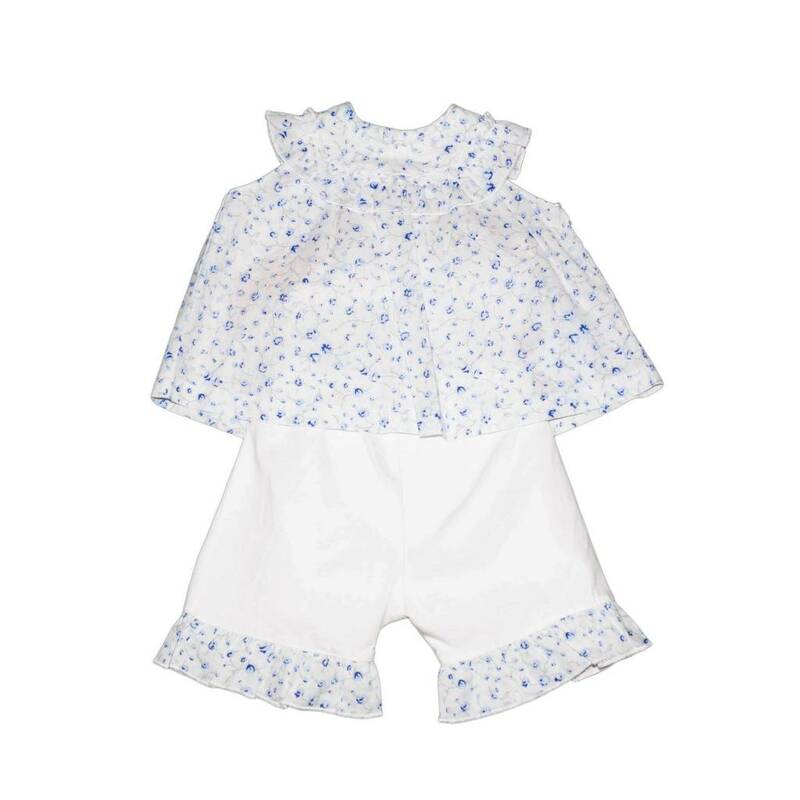 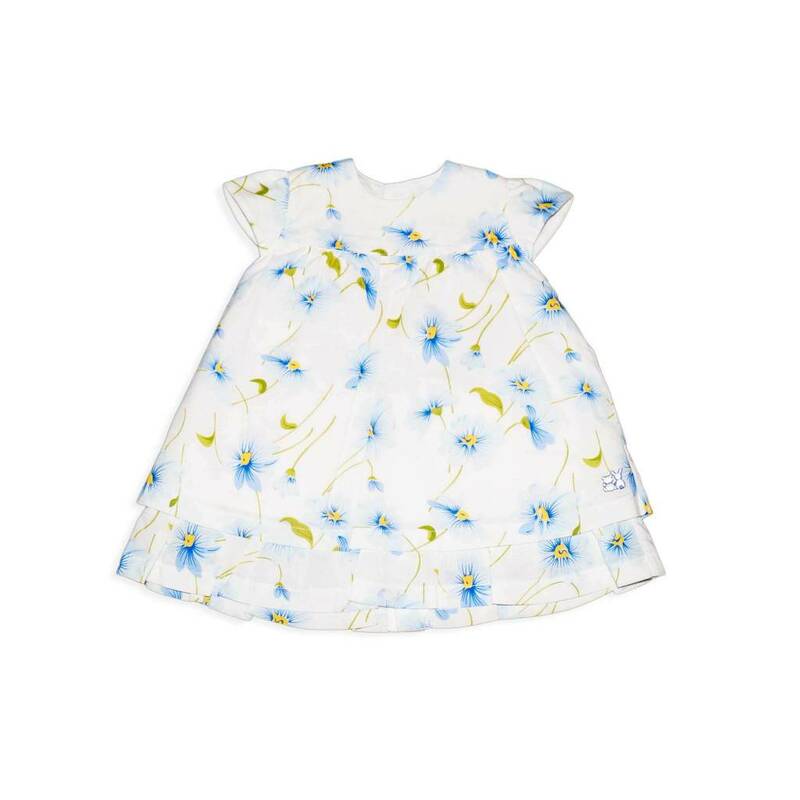 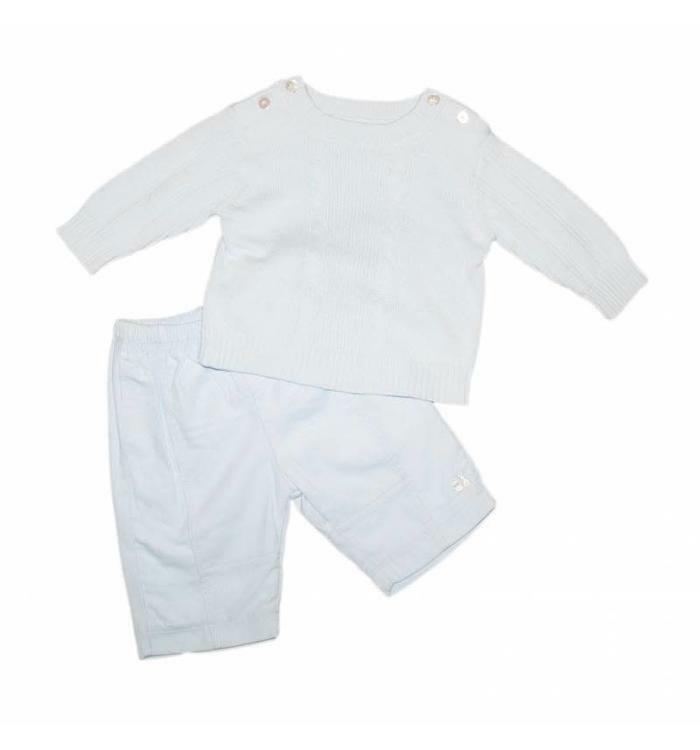 White 2-piece set with floral print for baby girls. 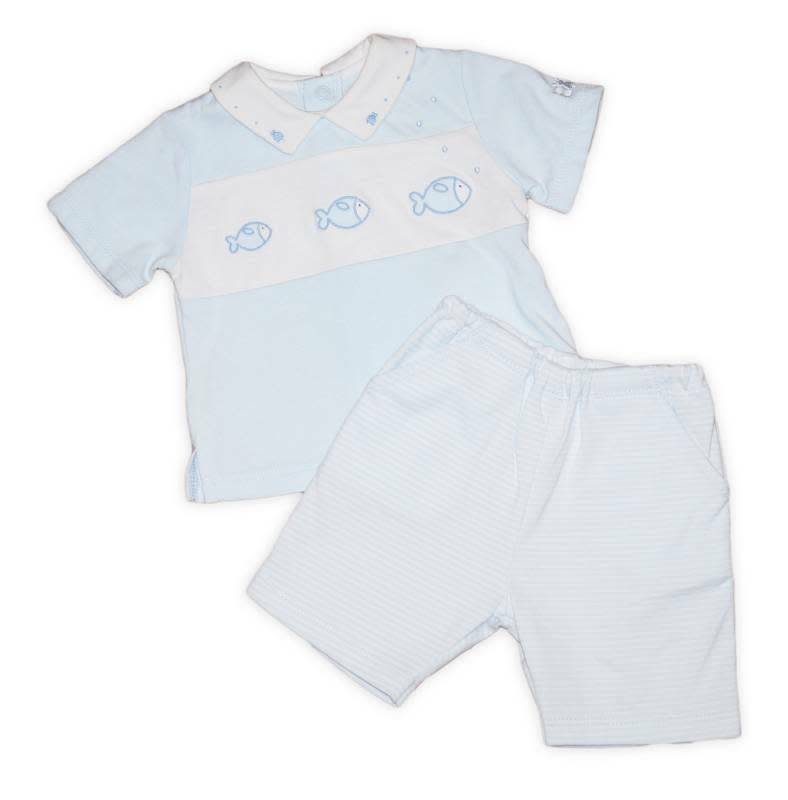 The set includes a sleeveless top and a small Bermuda shorts. 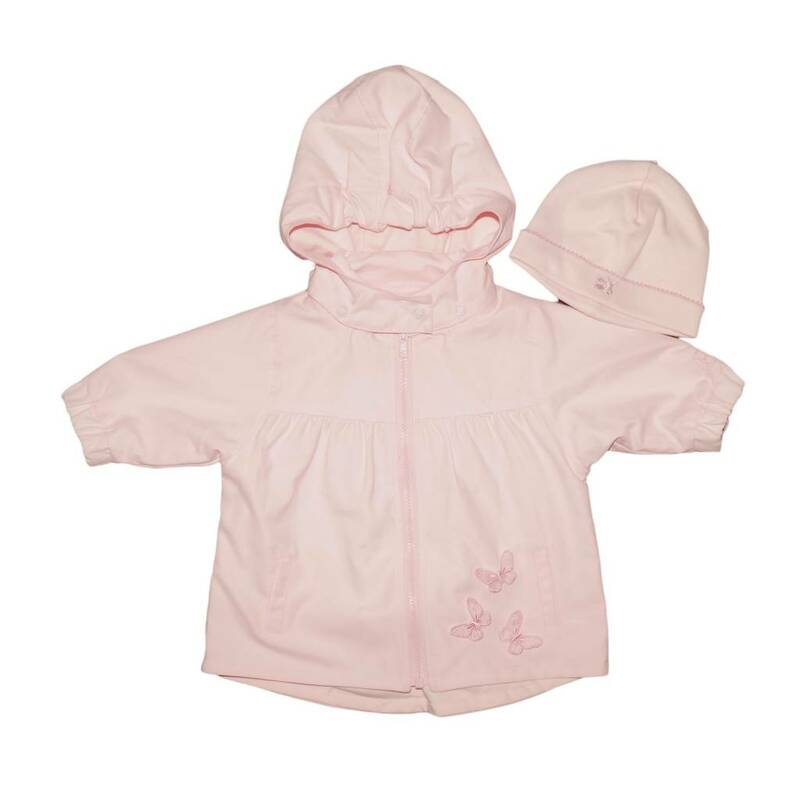 Pink coat with matching hat for baby girls. 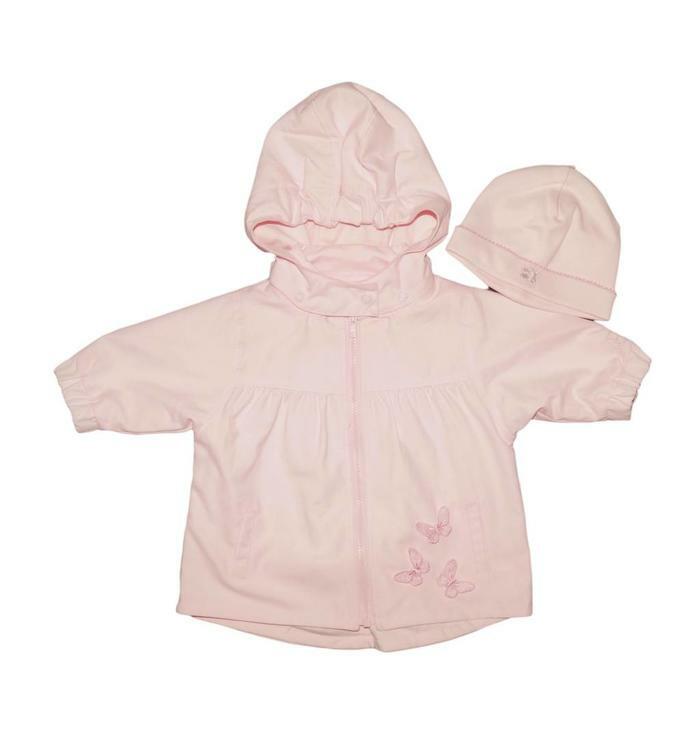 Zipper, detachable hood and butterfly detail. 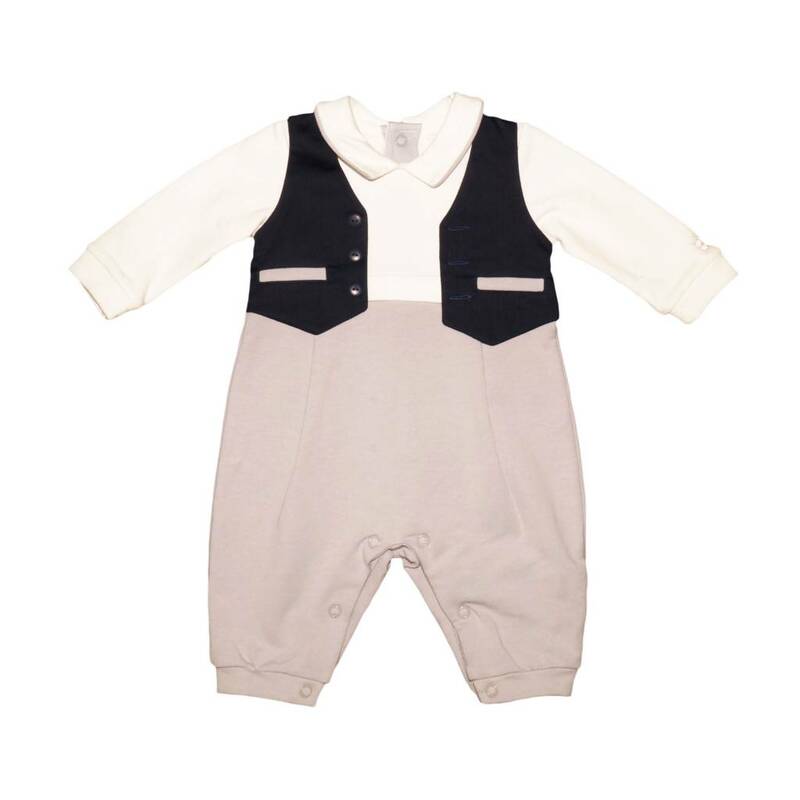 Chic pajamas in gray and white for baby boys, with a navy vest, suit style. 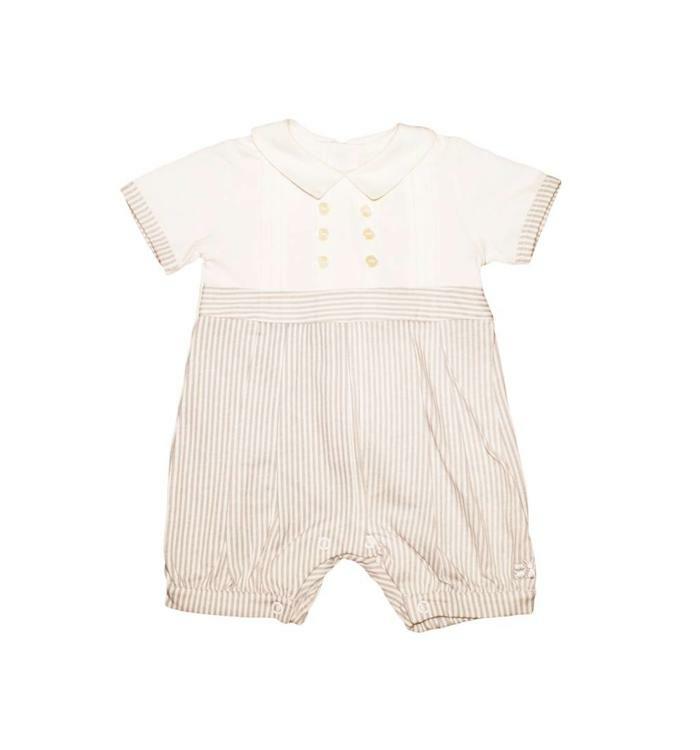 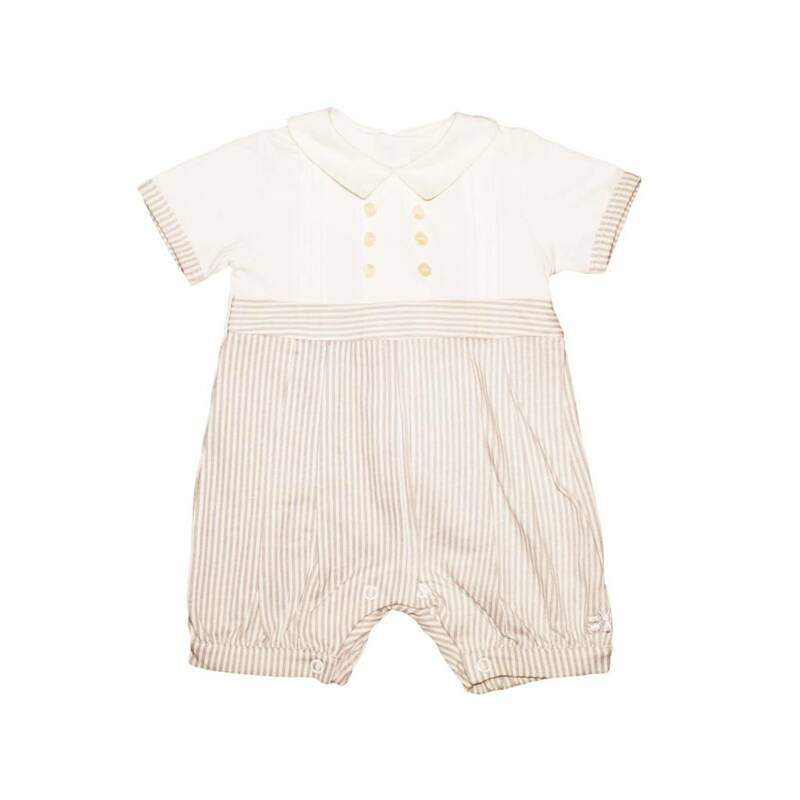 White romper, striped in gray for baby boys.